Over the years, Barbie generated huge sales–and also a lot of controversies. On the positive side, many females saw Barbie as providing an alternative to old-style 1950s gender roles. She had a series of different jobs, from airline stewardess, doctor and astronaut, presidential candidate to Olympic athlete. Read More about Barbie Brand and its Facts. Ruth Handler, co-founder of Mattel, perceived her daughter Barbara playing with paper dolls for hours every day. This sparked Ruth’s vision to create a doll for girls to play out their dreams and fantasy. Then, in 1959, the first Barbie doll-named after Ruth’s daughter was introduced and launched at the New York Toy Fair. Ruth Handler used to watch her daughter Barbara play with paper dolls, and observed that most of the time liked giving them adult roles. At the time, most children’s toy dolls were depictions of a kid or infants. Realizing that there could be a possibility in the market, Handler recommended the idea of an adult-bodied doll to her husband, a co-founder of the Mattel Toy Company. He was unenthusiastic about the idea, as were Mattel’s directors. For the period of a trip to Europe in 1956 with her children Barbara and Kenneth, Ruth Handler came across a German doll known as Bild Lilli. The adult-figured doll was just like what Handler had in his mind, so she purchased three of them which were available. She gave one specimen her daughter and took the left others back to Mattel. The Lilli doll was founded on a popular character appearing in a comic magazine created by Reinhard Beuthin. Upon her return to the United States, Handler redesigned the doll and the doll was given a new name which you and I know today famously as – Barbie, after Handler’s daughter Barbara. The doll was presented to the world for the first time to the world at the American International Toy Fair which was held in New York on March 9, 1959. This date is also famous as Barbie’s official birthday. The very first Barbie doll was dressed in a black and white zebra striped costume. Her signature used to be a topknot ponytail and was available as either a blonde or brunette. The doll was presented as a “Teen-age Fashion Model,” and her clothes created by Mattel fashion designer Charlotte Johnson. The first Barbie dolls were factory-made in Japan, with their clothes hand-stitched by Japanese homeworkers. More than 300,000 Barbie dolls were sold during the very first year of production. Unfortunately later, Louis Marx and Company sued Mattel in March 1961. After licensing Lilli, they appealed that Mattel had “invaded on Greiner and Hausser’s patent for Bild-Lilli’s hip joint, and also demanded that Barbie was “a direct take-off and copy” of Bild-Lilli. Mattel counter-claimed and the case was finally settled out of court in 1963. In 1964, Mattel bought Greiner and Hauser’s copyright and patent rights for the Bild-Lilli doll for $21,600. Barbie’s arrival has been changed many times, most notably in 1971 when the doll’s eyes were accustomed to look forwards rather than having the modest sideways glance of the original model. Barbie was one of the first toys to have a business plan based widely on TV advertising. It has been copied widely by other toys. It is projected that over a billion Barbie dolls have been sold universally in over 150 countries. Mr Mattel claims that three Barbie dolls are sold every second. Barbie has become a cultural icon in this modern era and has been given honours that are rare to be given in the toy world. In 1974, a unit of Times Square in New York City was retitled Barbie Boulevard for a week. The Musée, Paris at the Louvre held a Barbie exhibition in 2016. The exhibit featured 700 Barbie dolls over two floors as well as works by modern artists and documents (newspapers, photos, and video) that glorify Barbie. The company believes in the imagination of the little girls, every girl becomes anything they want, and they have the power to imagine their future. 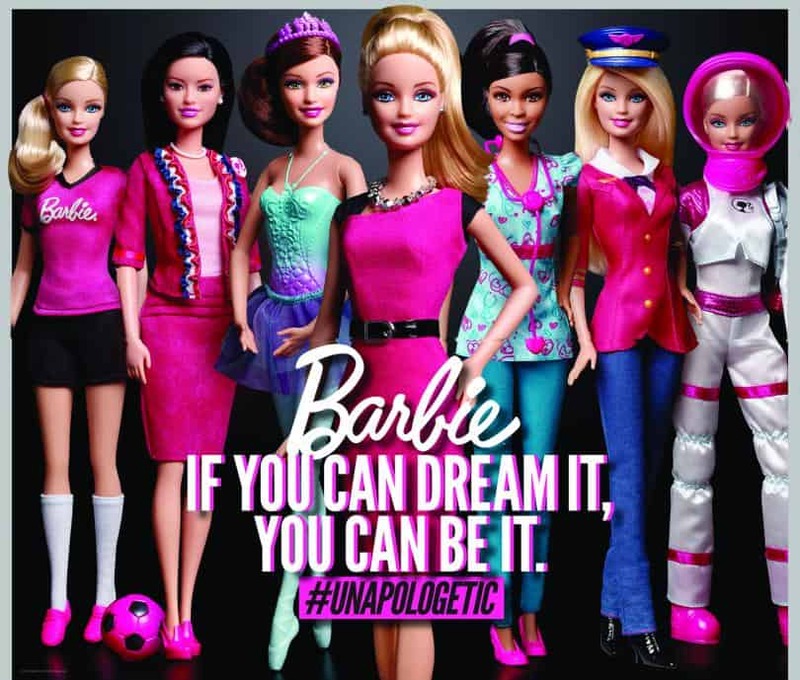 For inspiring this girl the company maker professional Barbie-like Doctor Barbie, Pilot Barbie, an Artist Barbie. In 1986, the artist Andy Warhol produced a painting of Barbie. The painting sold at an auction at Christie’s, London for $1.1 million. In 2015, The Andy Warhol Foundation at that time teamed up with Mattel to create an Andy Warhol Barbie. Artist Al Carbee took thousands of photographs of Barbie and created uncountable collages and dioramas featuring Barbie in various locations. Carbee’s collage art was presented in the 2016 Barbie exhibit at the Musée des Arts Décoratifs, Paris in the section about visuals artists who have been inspired by Barbie. In year 2013, Taiwan had first Barbie-themed restaurant called “Barbie Café” unlocked under the Sinlaku group. The name of the first doll was Barbie Millicent Roberts, and she was from Willows, Wisconsin. Barbie’s job was a teenage fashion model. However, now, the doll has been made in connection to over 125 different careers, including even President of the United States. Barbie came as either a brunette or blond, in 1961 they also added red hair version. In the 1980s, the first African American Barbie and Hispanic Barbie were announced. Although Barbie did have a black friend named Christie who was introduced in 1969. The first Barbie was sold for just 3 dollars. To this date, more than 70 fashion designers have made clothes for Mattel, using over 105 million yards of fabric. Barbie is the first toy company in the world, which preferred television advertising for its campaign. The company launched many animated films. The brand launched television special like “Barbie and the Rockers: out of this world” and “Barbie and the Sensations: Rockin’ Back to Earth”. In 1997 The Aqua launched the famous song “Barbie Girl”. Barbie played the supporting role in Toy Story 2 and Toy Story 3 by Pixar Film. 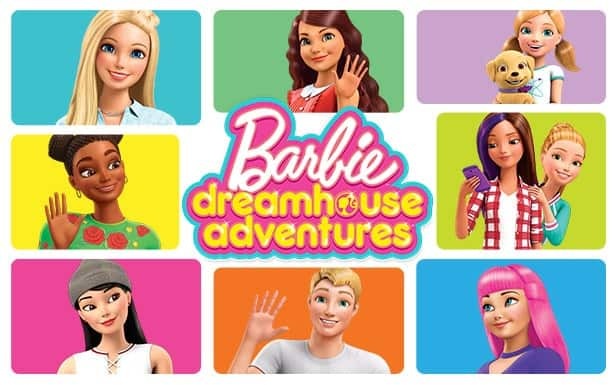 Barbie celebrated its 60th anniversary in 9th March 2019. For their anniversary they produced 20 role models, which is the key part of their Dream Gap Project. They produced this Role Models Barbie in honour of extraordinary women in almost every field. Be it Naomi Osaka the Tennis Player or the Cycling Champion Kristina Vogel, famous actress Yara Shahidi or the Ice Dancing champion Tessa Virtue, Barbie was everywhere. The Role Model Barbie was made to inspire the women of our society. Barbie is always very connected with its consumers by all mediums like television, social media like Facebook, Twitter, YouTube and Instagram. Barbie is like a family for kids. 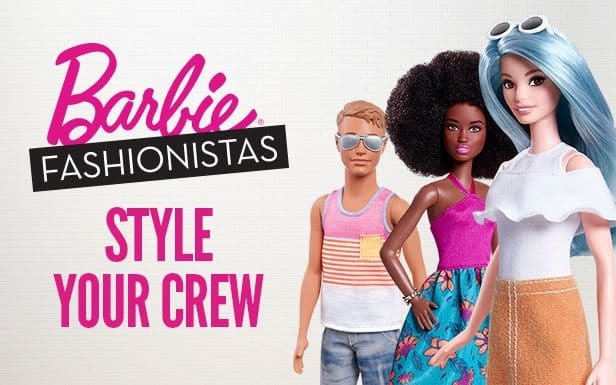 The brand also provides accessories and clothes for Barbie. The brand made everything which is important for regular use of Barbie-like furniture, home appliances, kitchen appliances, music instrument, doll house, clothes, shoes, etc. The company has also launched many tutorials about Barbie’s dressing, hair design and how to restore your old Barbie. Over the years, Barbie generated huge sales–and also a lot of controversies. On the positive side, many females saw Barbie as providing an alternative to old-style 1950s gender roles. She had a series of different jobs, from airline stewardess, doctor and astronaut, presidential candidate to Olympic athlete. It was Barbie’s appearance that caused the most controversy, however. Her small waist and huge breasts–it was estimated that if she were a real woman, her measurements would be 36-18-38–led many people to claim that Barbie provided little girls with an impractical and damaging example and nurtured negative body image among teenage girls universally around the globe.